This article (updated in 2018) is a review of the beginnings of Google Authorship, how it got started, how it worked, changes it went through, and the reason why it was no longer supported since August of 2014. What Were Authorship Markup Tags? Are Author Images Still Showing in SERPs? In 2007 Google patented an algorithm for “Agent Rank/Author Rank” to influence page rankings based on author reputation. This was later implemented as Google Authorship in 2011. The method used author tags as HTML markup code with reciprocal links between an author’s content and their profile page, one was able to establish proof of authorship. I quickly claimed my Authorship in 2011 by adding the required markup code to my personal website. In addition, HubPages implemented the markup code, linking articles with each author's profile pages. HubPages always kept up with the latest Google trends, which is why I feel it’s the best content publishing site for professional writers. Back in July 2011 Google announced that they began supporting the authorship markup tags that were part of the HTML standards. (HTML is the language that's used to create web pages). The rel="author" tag was used to point all content pages to one's author profile page. All profile pages can point to each other with a rel="me" in case an author has more than one. This would be the case if they write on more than on website platform. People with their own websites would add this markup code. Many sites, such as HubPages, started doing this automatically so writers didn't need to get involved with HTML programming. See how these tags point to each other in the drawing below. 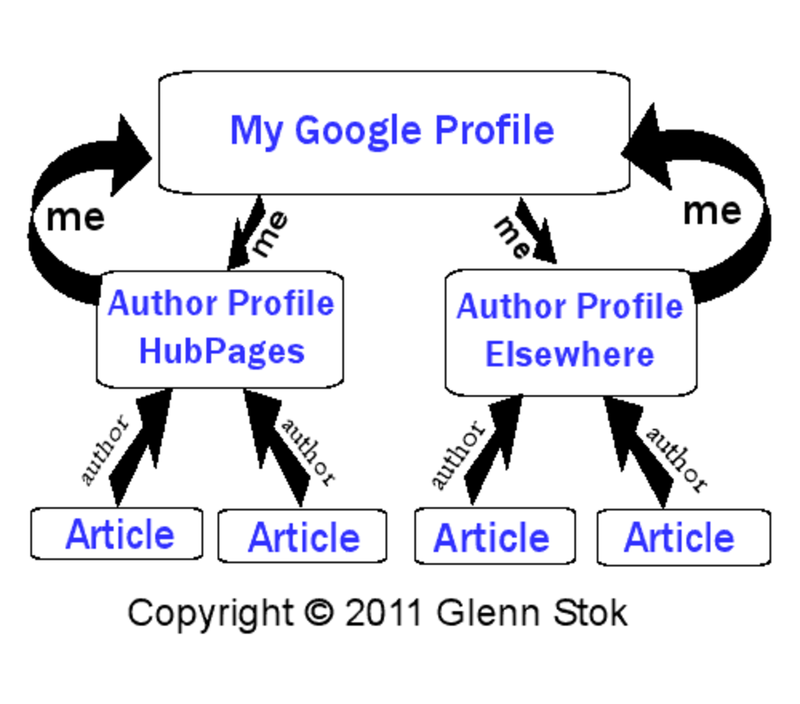 Illustration of how Google Authorship linking used to function. I was one of the first to implement the authorship markup, so I saw what was going on. Unfortunately, when all this started, Google quickly discovered problems that needed to be considered. Some people complained that they didn't have control over HTML programming on some sites where they published articles. They did have the ability to enter URL addresses to their other sites, so Google added a new method that would work with that. This eliminated the requirement to do HTML programming. Google also kept the initial method so as not to break what people already had done. I followed along in forums and saw how people were getting confused between the two methods. As a computer programmer myself, I have been able to interpret Google's instructions, but Google didn't appreciate that many writers are not programmers. They made the implementation difficult for most people to understand. Google had a lot of problems with the Authorship implementation. Many people incorrectly installed the markup code. Proper linking was necessary for proving authorship. Few people ever tested their implementation to be sure they did it right. I understand that non-programmers will make mistakes with complex HTML programming. That's why it's so important to check one's work. I suppose Google got frustrated with that. Google even tried to automate the process to eliminate human error, but then their algorithm ended up attributing the wrong headshot images to the wrong people. An example is the well-publicized fiasco with Truman Capote being shown as the author of a New York Times article written long after his death. Many tweaks to the algorithm were continuously being done in an effort to fix bugs and achieve the results originally intended. Google’s research has shown that Authorship Status didn't seem to change click-through rates anyway. Othar Hansson, the developer of the Authorship Project. This is how it used to look in the SERPs with the author's image displayed. This example was my previous tutorial about claiming authorship. For a while Author Images were still included in search listings, but only when the author was in the searcher's Google+ circle. Does that really matter? What are the chances that someone following you by placing you in a Google+ circle will happen to bring up one of your articles in a new search? However, even Google+ is turning out to be a failure, so this isn't going to be a game changer for displaying author images in SERPs. Google+ was meant to compete with Facebook, but never could keep up. 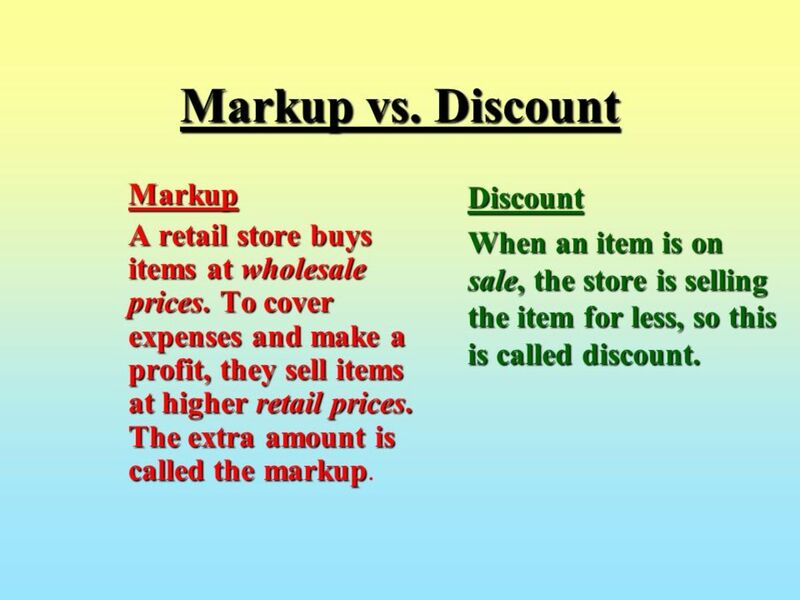 Is there anything that replaces the markup code that was used to claim Authorship? Yes. Google is making a strong commitment to the use of Structured Data in Rich Snippets. This is a way of improving search results without the crazy linking that Authorship Markup required. 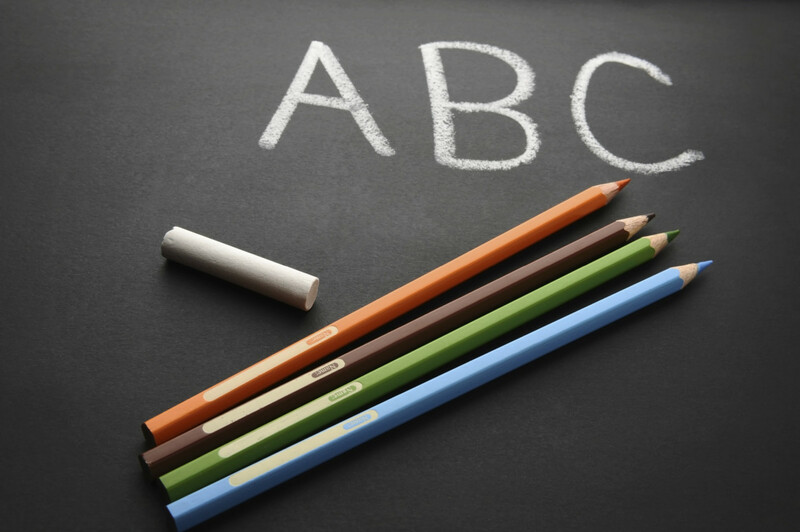 However, it requires a total understanding of HTML and Structured Data implementation. Google bots use Structured Data on web sites to understand the content of the page and format special search results. Structured data in a recipe article can help Google display the recipe as a graphical search result. Proper structured data with bullied lists or tables can help Google display a Featured Snippet of important content from one’s article in the search results. Professional content hosting sites, such as HubPages, do these things automatically for publishers when the right editing tools are used. Life goes on. Google is always experimenting with methods to improve search results. vespawoolf - I understand your concern and I happen to agree with you. But this is not an issue with HP, nor with Google. It is functioning exactly as Google explains. Once you have authorship established, your headshot will be placed in the SERP listings, not the image from your article. Those other listings you see from other people show the recipe photo because they may not have authorship established. However, photos in listings can be controlled to some degree with use of schema markup code. HP uses appropriate recipe markup code when you specify the correct recipe capsules. But I'm not sure if they include the override for the image. You might want to send an email to HP support asking about this. It probably will require an additional capsule to be created. In the meantime, if this is a concern to you, you might want to remove your authorship status so that your recipe images display instead of your headshot. Just remove the reciprocal link. But it will take time for Google to catch up with the change. Glenn, I have another question. Now that my authorship has been established, my recipes are all showing my profile picture when they come up in Google search results. In the past, my recipes were shown with a photo of the dish and a rating. When I use the Google Structured Data Testing Tool preview, it shows the old view with the recipe photo and rating, and yet it's not showing up that way anymore. What is the problem? Does it have something to do with the metadata? Does the issue lie with HP or is the problem with Google? All the other site's recipes show up in search results with photos of food. This is a serious issue because my views are still down. If I was looking for a recipe, I would definitely click on the link that shows a photo of food and not the link with a person's photo. Peggy - Yes. Using a good head shot is one of the requirements that Google indicates in their instructions. I see you must have changed it, because the one you have is great. I guess the first thing I need to do is change my avatar to a real photo. I hope that will help because so much of this is Greek to me. Mary - That's great news. Your image that is now appearing on the SERPS may help increase traffic as well. Just had to come back and let you know the results of my efforts on authorship with Google. I googled my Blue Orchid Hub. It is on page one, and my photo shows on the title, etc. Thanks again! If this will deter someone from copying our work (as I read it might), that would be another plus in doing this. I have had my work copied several times. molometer - Thanks Michael. It's also possible that Google will give extra attention to Authors who are active in Google+ because everything we discuss there adds to the information of our interests and areas of expertise. It helps Google focus the SERPS better to the people who are searching for what we write about. If it's not working yet, it will. And I agree with you about Google removing people who don't have actual face images. I see that tendency based on their push to tag people in group photos with actual names. They are definitely working on bringing this all together, as I see it. This is going to be so important going forward. Google is dumping all those anonymous avatars and leaving the door wide open for 'real people'. Why wouldn't we want to claim authorship unless we had something to hide? Excellent hub and very useful. Needless to say that I signed up as soon as it was offered. Bill - Isn't it just wonderful and things like that happen? Now that your face is in the Google listings, you should get an extra amount of traffic as a result as well. Thanks for stopping by, good seeing you around. Thanks f0r updating this, Glenn. My photo eventually did show up and I have a funny story. I was building a website and I wasn't sure where to put a certain piece of code. I Googled my question and had a good laugh when I saw my own face looking back at me as the first result returned. It was a Hub I had written on a related topic. ktrapp, I just tested your authorship and you are verified with Rich Snippets. I did notice that some Hubbers either never added their Google URL to the new HP profile, or they enter the URL wrong. Those might be the ones who are complaining as you mentioned. If you are referring to your image not showing in SERPs, that is at Google's discretion. You are right. I don't know what it's based on either. As long as Rich Snippets shows "verified" then you can count on it that Google recognizes your authorship even if they are not always showing your picture. Any thoughts on why authorship isn't necessarily shown even though it is set up properly? I know it's up to Google's discretion when it is shown, but I noticed it doesn't seem to be showing up for a lot of Hubbers at all anymore in the rich snippet. I think it's a Google thing, not HP, as I've also read about website owners, bloggers, etc. complaining about their author info. suddenly disappearing from snippets from time-to-time. Richard, You're very welcome and I'm glad this was helpful. I see that you set up your links to and from your Google profile correctly. The new HP profile makes it a lot easier since we just need to plug in the proper links now. You should start seeing your image in Google results listings soon. Glenn, thank you for this hub and all of this information. I was really racking my brain trying to figure out how to claim my HP account until I found this hub and your update. All done on my end so thanks again. Thanks for your input. I learned a great deal. The blogging community seems to be changing daily and it seems that is takes a lot of research and understanding to keep up. You have done an awesome job. I plan to refer to your hub often. Thanks for your hard work and sharing it with us. Angie, Per your question on blogspot... It's not as easy. You need to do an extra step. But you also need to follow the same rules with reciprocal links. Don't change it. You succeeded at it. Use the same method that you know works. Linking Google to Google, as you have done, serves no purpose. You need to use reciprocal links just like you did with HubPages. Place a link in your blogspot profile (your about page) to Google. And place a link in Google to your blogspot URL. Then the extra step is to include an author box in all your posts that link to your about page (not so easy). HubPages did this step for you in all your Hubs. But with blogspot, you need to link all your posts to your "about page" yourself. You do this from your Blogspot Dashboard. I don't use blogspot, so you'll need to check their tutorial for details on using the dashboard. When all done, test it with the Snippets Test Tool. Google will tell you if you did it right. Weezyschannel, Thanks for the acknowledgement. It's always nice to know I am appreciated. It makes it worth the time and effort in writing tutorial hubs for hubbers. Gotya! Thanks again Glenn..You really do put out great info on your articles and I think that should be acknowledged, however; I can see that I am not the only one who appreciates you, so kudos to you! weezyschannel, I'm sorry, but I don't know the answer to that one. You'll have to check to see if you can find any reference to that in the AdSense rules. You have to be sure you don't have a conflict with your bank account, otherwise you may not be able to get your payments deposited. This is beyond my knowledge. One more question if you don't mind. If I use a pen name, it affects my google profile, would there be any confusion then from my pen name for use of adsense earnings? Thats all I need to know for now... you are a true inspiration! weezyschannel, Take it easy. Google has given me a headache over this too. Nevertheless, it works when you follow the directions as the others have attested. I took a look at your HP profile. You never put the link in there to your Google profile. Just follow the section I wrote on doing it for HubPages and do exactly as I show you. The rest of my Hub is just to explain the entire situation. Let me know when you did it and I'll take another look to see if it's right. I have a damn headache! I have tried and tried to get my site linked up to my google plus..It wont' work..I have tried everything. I tried step by step what you did, and it still doesn't work. Can you help me please?? thanks! Thanks vox, It's been a pleasure. Thanks, Glenn :) Yes, I'm another testimony that the thing works on Hubpages (I understood everything well because you taught me well :)) You deserve the praise and I'll recommend this article to anyone who might be interested in claiming authorship with Google! vox, I can see that you understood everything really well and that you followed all the instructions correctly. Unfortunately I find a few others who read this and end up not following all the instructions. Then they never check to see what they did wrong. You are testimony that it works on sites such as HubPages. The thing with Seekyt has been an ongoing mystery. I congratulate you for continuing to try to discover the problem there without giving up. Thank you, as well, for your kind comments about this being the best tutorial. I appreciate the feedback to know I did the right thing for my readers. I have already searched for more information about this in other hubs but I found that your article was the best tutorial. It helped me claim authorship here on HP, especially because you replied to my questions in the comments :) If I ever find out what the issue is (was) at Seekyt, I'll let you know. Thanks! vox, I am sure Google does not have a human checking images. It must be done by software and your avatar is probably passing as a real face. lol. You are right about the Rich Snippets Testing Tool. The real face image is only their requirement for showing your face in search listings. I have no idea at this point why it fails for you on Seekyt. Try a search for "claim authorship markup on Seekyt" and see if you find anything. vox, I see Patrice also has "nofollow" on her profile link in Seekyt. So obviously that is not the problem. You are using an avatar and she is using a real picture of herself. Google will not include your authorship in listings without a real headshot, as they explain in all their blogs. The Rich Snippets Testing Tool shows that Patrice succeeded with Seekyt, too. Well, I did everything I could and after almost a month I have to give it a rest. I don't know why it isn't working in my case, but it seems nothing can be done to change that :( Thanks! vox, Both you and Patrice did it right for HubPages. Seekyt has "nofollow" on all your links. Google obeys nofollow tags so that's why it isn't working there. I agree with you that this whole thing is very frustrating. Amazon and twitter don't support it right either. vox vocis, It doesn't work on Seekyt because they don't include the link from your content pages to your Seekyt profile. It's not sufficient to ONLY have a link from your profile to Google. HubPages places the links in all our Hubs back to our profile so we don't need to do that part. Squidoo does the same. Squidoo is better and actually shows one's image in the Google listings because one can use HTML and actually use the "me" method. HubPages never caught up to that yet. But Google keeps changing things and does show images for some people on HubPages. I think because there are many that don't interface correctly and Google tries to make it work anyway for people with authority who make the attempt. vox vocis, Yep. You did it absolutely correct now. NO need to feel embarrassed. It's a really complicated thing and not easy for anyone. You should see what I went through to figure it out at the beginning. Glenn, next time I'm going to look right under my nose. You explained the common mistake people do in the process very clearly, and the way to correct it (I'm blushing now) - on my first reading, I just scanned that part thinking I had done everything right, and bookmarked the article for future reference. I followed the steps you explained; I believe it works now! Oh, I had no idea! Thank you so much for letting me know! I'm not sure what those extra characters in my URL mean, but I'll look into it now and read your hub again to pick up on what I missed out. vox vocis, The only problem is that you need to place the + sign at end, not in the middle. It won't work the way you did it. You also have extra characters on your URL. The first time I heard about this from my dear fellow hubber PWalker281, I was sceptic and thought it wouldn't make such a big difference, but later I got all excited about the idea, put it from theory into practice, and feel much safer now :) Voted up, useful and interesting. Thanks everyone for chiming in with your comments. If you are doing this just for HubPages, then you can simplify it by just following my instructions for HubPages. The rest of this Hub is useful if you want to understand the background and/or implement it on other sites. Wow--sounds like a good idea, but I'm so far from tech-savvy that my head it spinning, here. I'm bookmarking this to re-read when I have nothing else sitting on my desk staring at me demanding attention. Glenn, I am so excited to have this valuable information in the palm of my hands. I am definately bookmarking this so I can carefully read and implement my links. Thank you so much for making it easier for simpletons like myself to understand! Mahalo nui loa! Thank you Glenn! I've read this hub probably six or seven times since you first published it and finally today had to try it..Thanks again. Susan, Yes indeed! Well done. Hi Glenn, I think I have this set up correctly but was wondering if you could check it for me to make sure I've done this right. Would be greatly appreciated. cut and paste error. thanks much. giocatore ~ Oops. You added the + sign now, but you removed the "?rel=author"
cclitgirl ~ Thanks for the vote up. rasta1 ~ Thanks for stopping by. Mark Pitts ~ You're welcome and thank you to you. JamesPoppell ~ Thanks for the vote and the tweet. mbyL ~ Thanks to you too. It helps other people find out about it so they can do it too. giocatore ~ You missed the + sign on your anchore. Inlcude that so it works for you. TIMETRAVELER2 ~ All detailed step by step description is above. But I know you're just kidding. Tried to do this but could not figure it out. Need a more detailed step by step description if you have time. Thanks. It took me a couple of false starts and some fumbling around, but I eventually accomplished the mission. Thanks very much. Up and Sharing. This was very useful information. Thank you Glenn! Voted this Up and Useful + pinned it! Great information Glenn. I cannot wait to implement this. I had no idea this could be done with google. Vote up and a tweet. I so wish I was as tech savvy as you and those like you. Thank God you are! Up & shared! Pretty excited to see this information, I was wondering how to implement authorship as this is good for developing page ranking. The only drawback I see is you cant implement black hat techniques with Google tracking all your works. Its a definite big plus for copyrighting your works and for practicing white hat techniques. I'll bookmark it for later. What an incredible, informative hub. For all of us who are worried about copyright, this is perfect! I must bookmark this so that I can reference it. I'm headed to my profile page to start this "linking" process. AWESOME! Voted up, across and SHARING - everyone should see this hub! Had to come back and leave another comment. I have already done this myself but wanted to let you know that this hub is so useful to newbies and established hubbers alike. The worry of theft is reduced big time as the mighty Goog is all over it. They hate people copying other peoples content so it is a win win for all. Thanks for all your help Glenn. I moved my HubPages link from contributor to other profiles. I also was able to add the /about at the end of the URL before the ? and the link on my HP profile page now opens the about page on my Google profile (instead of posts). Thanks again. You're a great help. ktrapp, I looked at your profile. Yes, when you have a Google+ then it opens in the posts page. I guess they did that to imitate a Facebook wall. You might try adding "/about" at the end of your URL just before the "?rel=author" but this hasn't been tested. One thing you need to correct (not related) is that you put your reciprocal link back to HubPages under the "Contributor to" section. Your authorship will not work with that. Google only puts rel="me" in the return link when you put it in the "Other Profiles" section. The idea is that profiles link to profiles. The "contributor to" section is only for links to other sites where you don't have a profile. Glenn - I have set up both links for authorship, but I am wondering how you (and Greekgeek) get your link to about on the "about" page of your Google profile. My link opens on the "posts" tab. Is this happening because I have a Google+ account and not just a Google profile? pinkytoky ~ yep, it looks good. I just checked. Good work. Peter Hoggan ~ Be careful with mixing up the tags. If you use the method that works on HubPages, you need to use ?rel=author. rel=me is different. It does not follow a question mark. But it is the preferred method when you can enter your own HTML. Not so on HubPages. I know I know. It gets more and more complicated, thanks to platforms that don't allow HTML coding. Thanks Glen for the ?rel=me tip, very very useful. Hi Glenn, I've got it done! With your guidance, such complicated thing becomes so easy. Really appreciate your fast response and help. Thank you so much! pinkytoky, It's not your Google affiliate code. It's the ID portion of your Google Profile URL. Go to your Google Profile and take the URL from your browser. But drop anything after the ID and add "?rel=author" as you did already. You just got the ID part wrong. It's complicated, I know. But you are real close. Glad I come across this hub. The Google ID is it the same as the Adsense Code? I already put a HubPages link in my Google Account. But the reciprocal link from HubPages to Google does not work. I got the 404 error message. Maybe it is the problem with the ID. I don’t remember having any Google ID, except for the Adsense Code and Analytics Code. Would appreciate your advice. Thank you. Patricia Polvora ~ Good question. I'm sorry I don't have the answer. I don't know if you can put HTML code in your Facebook profile, which is required to link to Google. I don't use Facebook and I even wrote two other Hub's about my reason for that. High quality content needs to have all it's content within focus. All related to the same thing. Your Facebook profile, with all the miscellaneous stuff on your wall, may have content that is all over the place with little focus on one important item. That will kill the ranking for your profile. I could be wrong, but that is what happens with regular web pages. Hope that sheds some light on the matter. Glenn, what a master! cristal clear...I have done as explained and the test shows great results. Question; does google consider facebook as "content"? I mean if friend is looking for great hotels in X area, and I have posted links on my wall to hotels in X area, will Google pick it up and show my friend (in her SERP) my reslut (if matching)? does that have anything to do with me having to put the rel=author markup to my Facebook profile? I learned about this hub from the forums section and I am so glad I did! Thank-you for this very awesome information, and I'll be giving it some thought as to whether or not I want to implement this. If I do, this will definitely be my guide! Awesome directions, info, and this was all very well presented! Moon Lightened ~ I see you added your Google Authorship Markup to your HP profile but you left out the plus sign on the anchor in the hyperlink. molometer ~ You left off the "?rel=author" on your link to your Google profile. Rosie2010 ~ Good job. You have your links correct in both directions. You followed my instructions very well. Plagiarism issue is always alerted here on HubPages. I experienced receiving an immediate alert at the start of my chosen title. I am more careful now by simply writing important things that I've done that I consider worth sharing for. Glenn, thank you so much for posting this. it was extremely helpful and something I had been fretting about. Thanks again and I shared with my followers. Victoria Lynn, According to a post in the forum a couple of months ago, HP should be updating our profiles soon and it will include a way to simply enter your Google Profile URL. The rest is done for you then. But you still need to put your HP Profile into your Google Profile yourself. Thanks for checking this out. Wow! This looks like great information but I find all this stuff so confusing, with linking the urls, etc.... I'm going to bookmark this for further study. Glenn, you mentioned that HubPages is going to make it easier at some point. Will it be significantly easier? I think I may just wait and see...but I'll definitely be looking at this further....Thanks for letting us know all this. Will have to study this further in that case and see if I can link my HP account to my Google acct. Thanks Glenn. Peggy, I didn't use those words. People will still steal your work, but at least there will be a documented reference to the owner, which in my opinion can help when you file a DMCA complaint. HP has not made any further statements as to when this will be implemented, which is why I did it with Google's alternate method for now. Since it is almost the end of 2011 and from what you said, HubPages is going to make this easy for us to accomplish, I think I will wait another few days. This is all very interesting. The thing I like best is that it will make it harder for people to steal our content (from what you say) and that is great! Thanks for all of this information. PWalker281 ~ I just checked one of your content pages on Seekyt and I see they properly added the rel="author" tag. Assuming they do this on all content pages, it should be fine. All your content will now be associated with you as the author. Isn't that neat? You can take credit for getting them to respond so fast. Along with the fact that I reread your article, your explanation makes a whole lot of sense now, Glenn. Also, I told the Seekyt admin about the problem with the rel="author" tag (is that what you call it? ), and he added it to the HTML link that already links to our user profile (i.e., the "written by" link at the top of our articles). I hope that takes care of the issue of being able to claim our Seekyt content. I really appreciate your taking the time to answer my questions and provide such great advice, Glenn. I've learned so much from this article and the comments. Debby, lol. Sometimes I feel a complete reboot would help my brain too. I agree with you about having too many social networks, which is why I don't use Google+. I just use the standard Google profile for the Authorship Markup. @Motown2Chitown - Excellent! You did a great job. One thing I might recommend is to remove the extra link you have to your HP profile under "Contributor to" as you already have it correctly listed under "Other profiles." @Michael Willis - Allow me to help... The reason why your Google profile is plus.google.com instead of profiles.google.com is because you signed up for the Google+ Social Network. As I mention in this hub, either one is fine. And Google redirects links from one to the other so you don't need to worry about existing backlinks. Your authorship does not verify properly right now because of a few things. I looked at your HP profile and one thing you left out is the "+" on your anchor. It won't work until you add that. Also in your Google Profile you put a link to your HP profile under "Contributor to" and that does not work for profile pointing to profile. You need to put it under "Other profiles." Finally, I see you put links to all your hubs in "Other Profiles" - you need to remove those because your hubs are not your profile. There is no need to list all your hubs. Google knows that since there is an "author" link from your Hubs to your HP profile, which HP already did for you. Thanks for the informative Hub Glenn. I added my Google profile link to my Hub Author page. Hope I did it correctly. I did notice when I went to my Google Profile page that it now has the plus.google.com at the beginning instead of just profiles.google.com. Is this going to be an issue with authorship or is this just a Google change? I used a bookmarked link to the original Google Profile page I made a few years ago. ktrapp, Very good question. It's important to understand that. If anyone would point their content to someone else's Google Profile, Google would not accept it as valid since they can't log into that other person's Google account to add the reciprocal link. The part you're missing is that they need to do it on both ends. And they can't claim all my work by pointing their Google Profile to my HubPages profile. Google will reject that too unless they could log into my HP account and point my HP profile back to their Google Profile. Since they don't have my password they can't complete the reciprocal links. Glenn, Thanks for letting us all know that it is possible to declare authorship in this way. I was unfamiliar with this until now. I did go ahead add my hubpages profile url to my google profile. But I have yet to add my google id url to my hubpages profile. I had one question before I do so. I took a look at your profile and can easily see your id. So what is to stop someone from using your id? Additionally, they can easily get your profile url from hubpages or wherever too. Am I missing something? Don, Yes it will make it much more difficult for these thieves to copy content from the web. Authorship markup clearly indicates who it belongs to. It's not foolproof but it helps. Thanks Glenn! This is just what I need. recently I checked for plagarism of my work, and found a number of supposed RV Expert Advice sites that had copied, not just sentences but multiple paragraphs of my Hubs. I have contacted several of them and some have removed the copies but some are stone-walling me. At least, if I take this next step, I will maybe have a little more leverage out there in the world of "search"!